Torcuato Huertas has worked all his life in the countryside mainly growing olive and fruit trees. IT was in the early 80's, when he used to go to Barranco Oscuro to help his uncle Manuel Valenzuela (Bodega Barranco Oscuro) with the pruning and harvesting works, when it arose in him the concern of the vineyard. 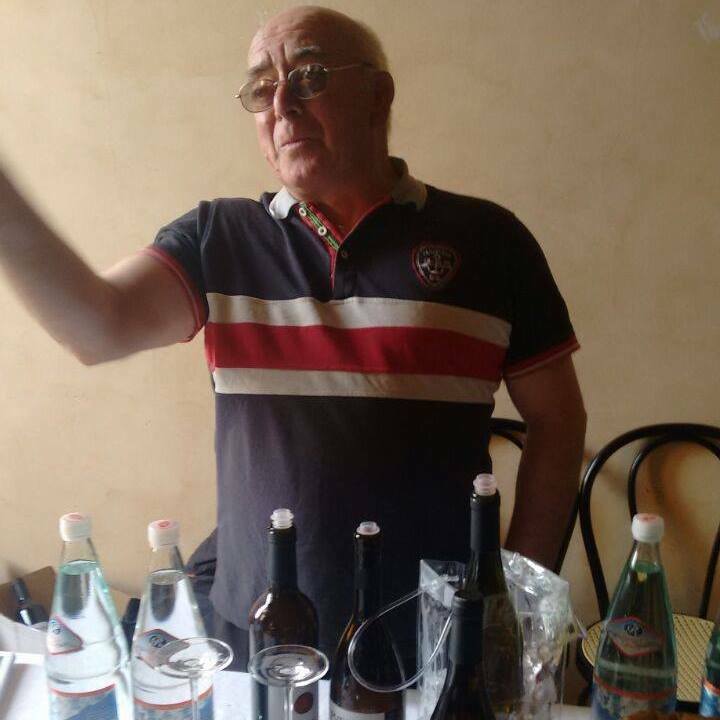 His great-grandfather used to make a young wine for self-consumption and Torcuato thought it could be a good idea to follow this family tradition and even improve it. The influence of Manuel has been enormous and has been reflected in his respect for nature, his interest to try new varieities and different ways of vinification, and in the search for authenticity in every bottle. Sauvignon Blanc, Macabeo, Palomino, Chardonnay, Viognier, Albariño, Torrontés, Moscatel de Alejandría and Jerezana. (he has so little amount of each grape that it is not worthy to vinify them separately). Vinification: all separately harvested, de-stemmed and directly pressed. All grapes except Moscatel are macerated for 1 week on the skins. Ageing: part of the must has been fermented and aged in stainless steel tanks and all the rest has been fermented in stainless steel and aged in french oak barrique (225L) for 1 year. Syrah, Cabernet Sauvignon, Merlot, Tempranillo, Cabernet Franc, Pinot Noir, Petit Verdot and Garnacha. (he has so little amount of each grape that it is not worthy to vinify them separately). Vinification: all separately harvested, de-stemmed, 5-7 days maceration and directly pressed. Ageing: 1 year in french oak barrique (225L).